Prepare this 16 Holes DIY BBQ Slicer Box Food Meat Vegetable Slicer Box Portable Barbecue Grill Kebab Tool, and you are able to have BBQ everyday at home. 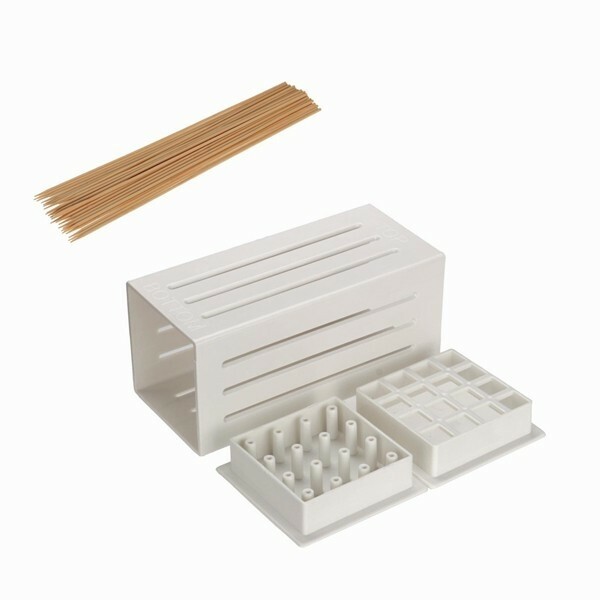 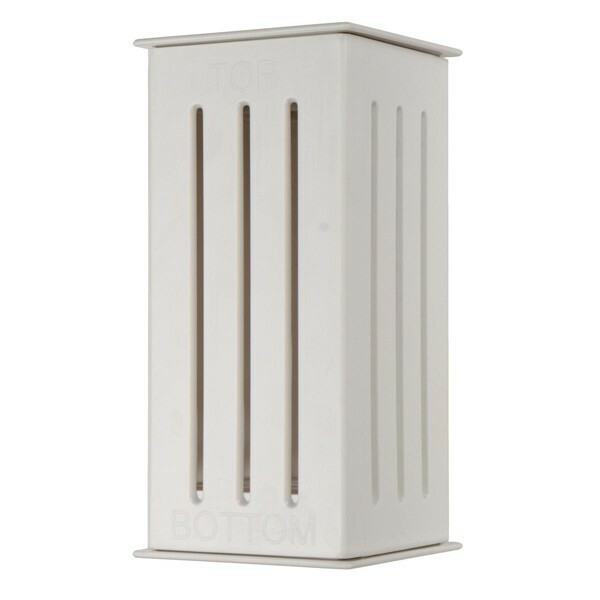 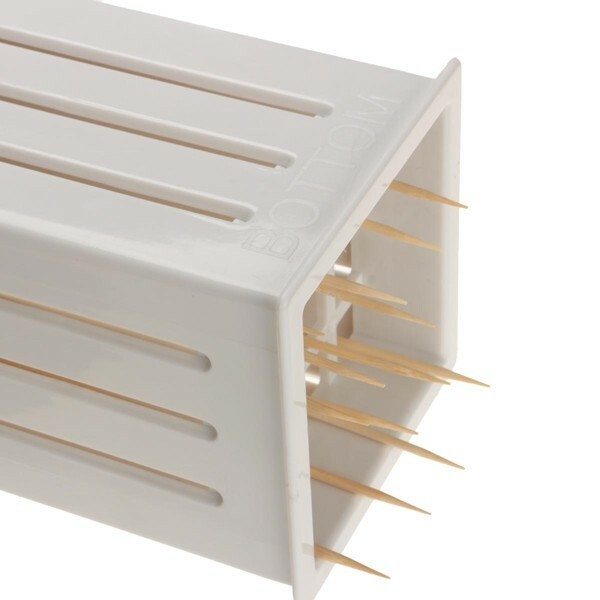 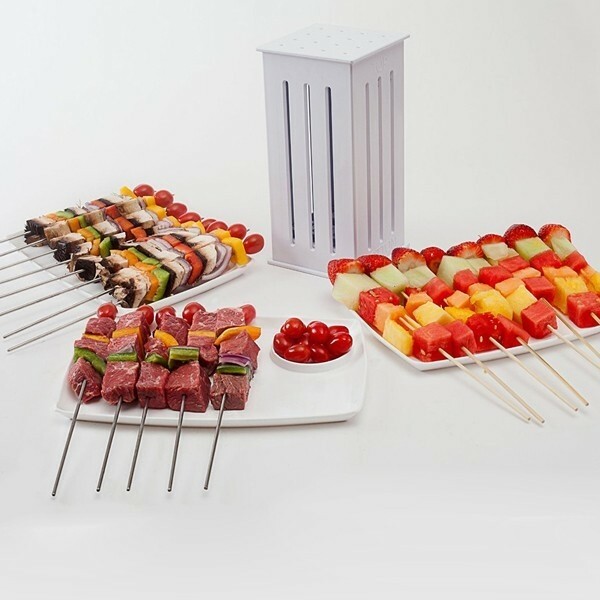 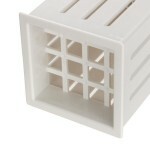 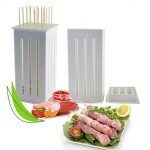 This gadget is particularly designed into 16 holes with 32pcs bamboo skewers for convenience. 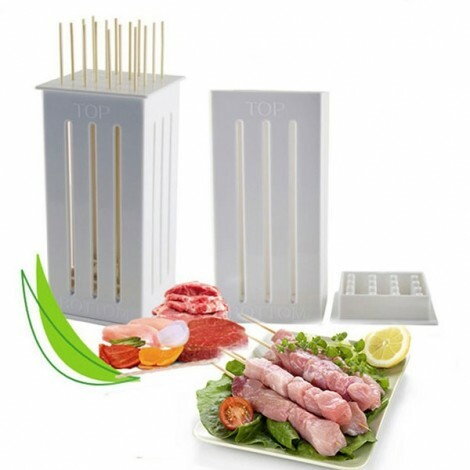 Premium ABS material is non-toxic and harmless to use. 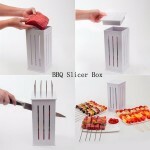 This BBQ slicer box is lightweight enough for easy operation. 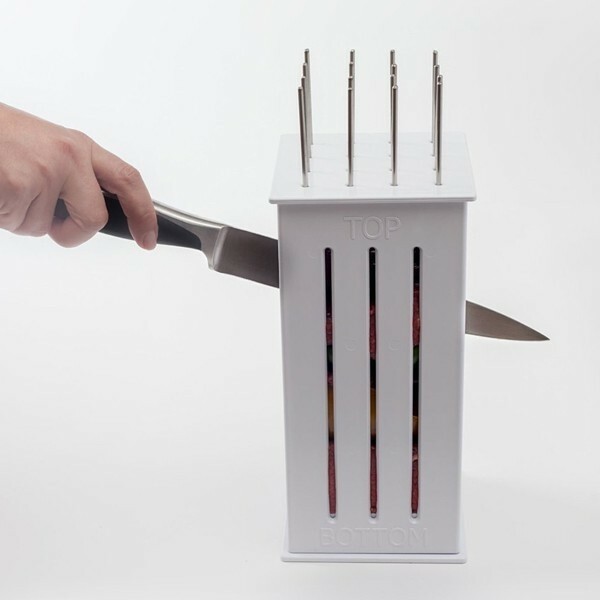 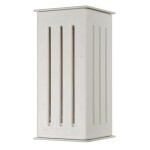 You can put meat, fruit or vegetables inside. Convenient to apply! 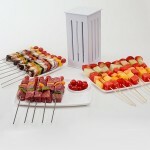 You can hardly miss it out!